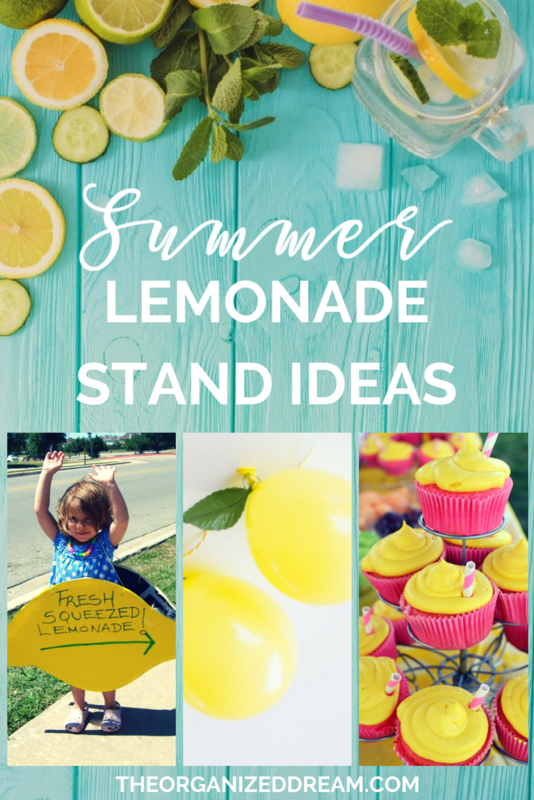 Okay, there's officially about a month left here for us before school starts and there is one thing that my niece, nephew and daughter have been doing lately and that's hosting lemonade stands with their friends in the neighborhood. We decided that it would be a great idea to go one step further and get a little snazzy. As a blogger...a crafty blogger at that, I just couldn't help myself from getting way too into it. Do you blame me? 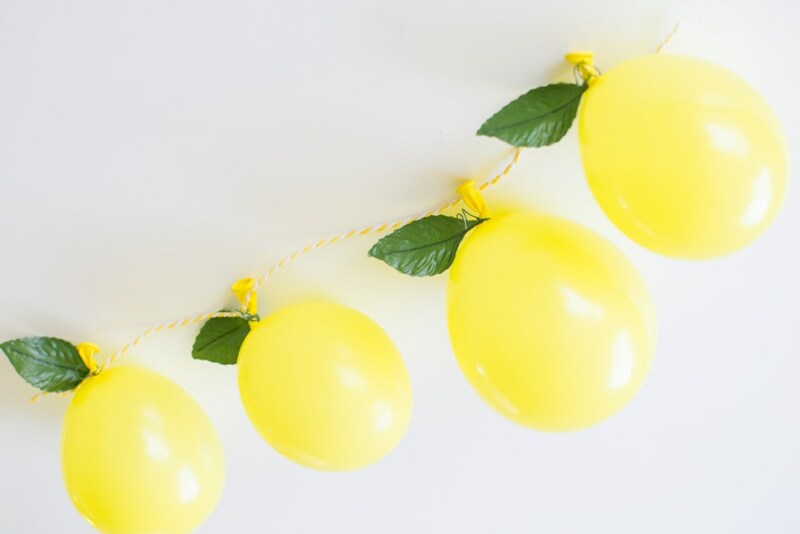 The opportunity to decorate and get festive for any occasion always has me in giggle mode because i get so darn excited. There were a few things I really wanted to focus on and that was the decorations, the signage and the goodies. While we aren't going to go crazy and build this elaborate lemonade stand, There is absolutely no reason why we can't decorate a table setting to our heart's content. We're going to create bold and clear signage to draw in the crowd. 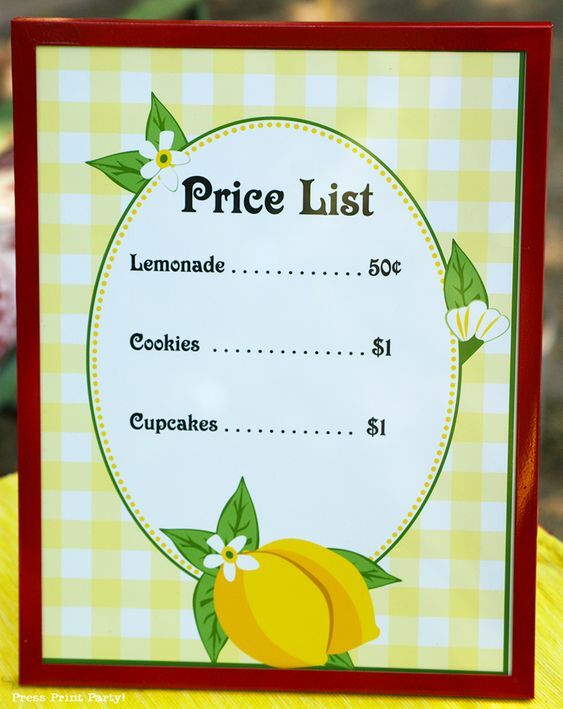 I thought it would be a great idea to have a bake sale as well with allergy-friendly sweets and candy so they can really push sales and make the most they can. A price list is something that I think we will really need because if we do sell more than lemonade, I would think that they would find it hard to keep track of the prices. Okay, I had to give this lemon sign a second look, but after my soon-to-be 13 year old niece gave it the green light and said it was a cool idea, I knew it was a must. It won't be worn, but rather held. I think this would be a great option for older kids and maybe not so obnoxious. 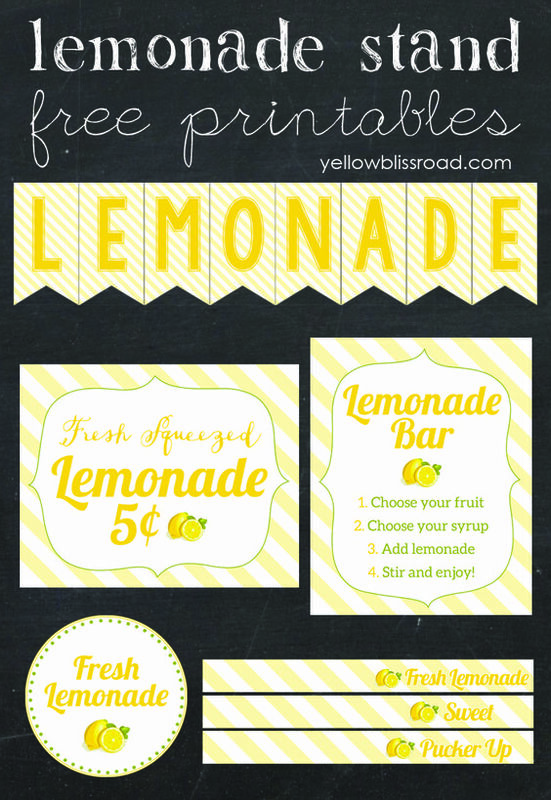 While our signage will have our own special twist and we'll probably end up doing our own thing entirely, these sign printables are a great inspiration. Our goal is to simply make something that is eye-catching and not sloppy! To simplify the entire process, I'd probably use construction paper leaves and tape them on. It will have the same effect and I won't have to deal with floral wire. 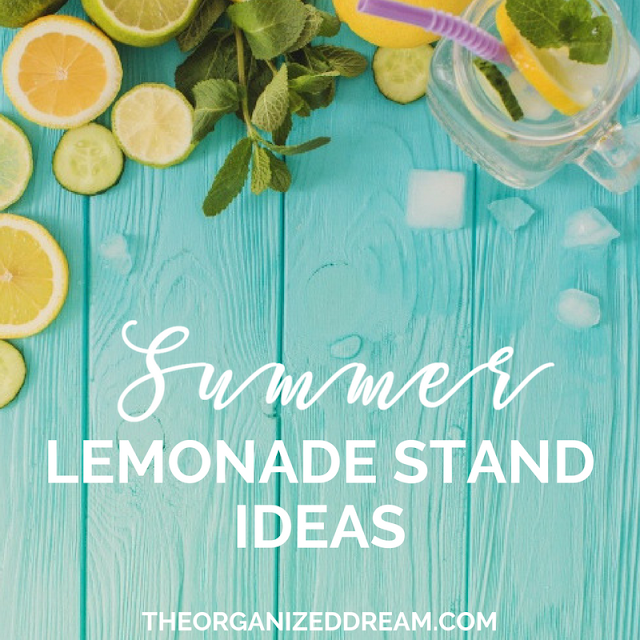 Like I said before, the kids already have a grasp on the beverage portion of the stand so I wanted to share with you thoughts on what I would like to include for the goodies! In all honesty, it's going to be crazy hot this week so if I feel like scorching in a flaming hot kitchen, I may bake. The alternative? There's is a conveniently located bakery about 1/4 mile down the road. We could buy some desserts cheap and make a small profit. Another thought would be to sell candy.. That's an awesome idea, right? 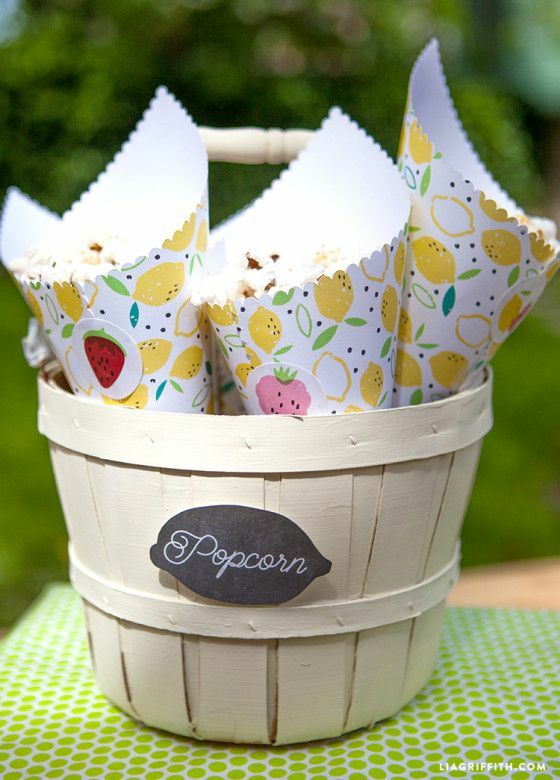 A really great idea would be to use paper to make cones and sell portions of popcorn. These cones were meant for a birthday party, but by wrapping them in plastic, we could easily sell them as light snacks for passersby. 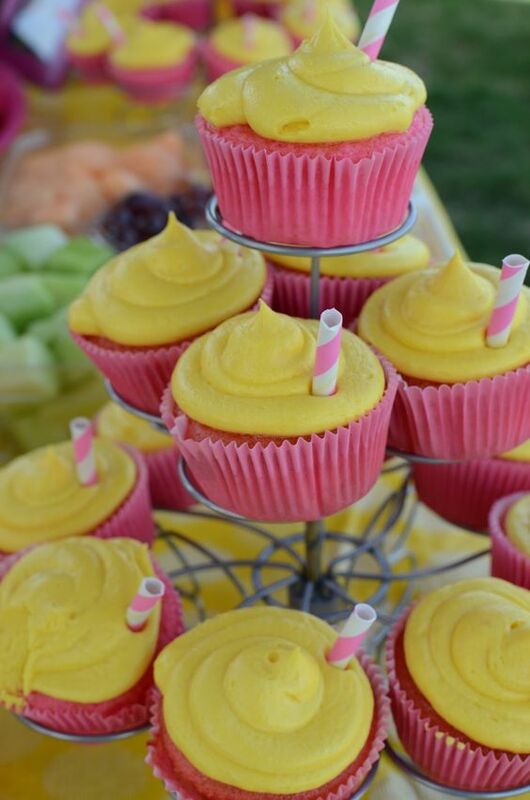 These cupcakes would fit right in! I adore the whimsy touch of the straws so much! I like the thought of having a sweet dessert option and the fact that I could easily buy these at the local bakery is a plus. 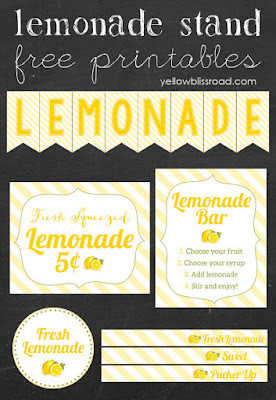 I really don't know how anyone could have a lemonade stand without a good cookie. Am I right? I don't think that I would get as creative and crazy by making these pretty lemon cookies, but sharing them here in this post seemed like the right thing to do. I think we're going to stick with chocolate chip. 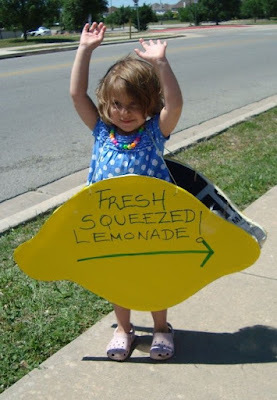 We're about a week away from our lemonade stand business venture and we're all pretty excited. I mean, wouldn't you be? Whether or not we make a good amount of money, the key is to have fun doing it and putting it all together has us all so excited! I'm hoping to pop back in next week to share the outcome. Stay tuned!